8th of November, 2016 will go down in history as a day that triggered one of the biggest financial reform in India. PM Modi’s initiative of demonetizing currency of Rs. 500 and Rs. 1000 did come as a big surprise to all Indians. Was there some numerology involved behind in date selection? Modi is a number 8. His birth date is 17th September, 2016. J Even if there was, it does not matter since the decision taken is in the best interest of the nation. Demonetization has caused lot of hardships to the common man. However, it is the common man who despite all the hardships faced is still not complaining or agitating against Modi. There has been no violent protest by the mob. Strangely it is the political parties who are complaining. Some opposition parties even tried to instigate people against the government. Yet, people of India have shown great resilience. Point to be noted here is that in India, we have a good share of the population who are either illiterate or not highly educated. They do not fully understand the rationale behind the decision taken by the government. Despite this, they have rallied behind the government. In a country like ours where riots can break out due to public anger has not seen any violent protest after demonetization was announced. The opposition parties, instead of appreciating this decision of the government are trying to mislead the people. In one of the discussions I was having in a WhatsApp group, one person happened to link this decision as a step taken because of upcoming elections in few states in India. This same person also mentioned that Modi’s decision was bad for the country and the poor people of India. When it comes to elections, if my understanding is correct, it is the poor who go and vote in elections more passionately than the rich and the middle class. So, causing inconvenience to the poor people of this country will only have a negative impact on Narendra Modi’s party. Basically, if the overall mood of the nation due to this decision is grossly negative then Narendra Modi’s decision will lead to a major upset in upcoming elections for the BJP. This means that Modi haters and the opposition parties should be happy because this initiative will turn out to be suicidal for Narendra Modi as his image will be harmed. Communists are morons is a statement I always make because of how they have conducted themselves as a political party. The CM of Kerala is the biggest moron is something that gets proved by this article where CM Pinrayi Vijayan claims that demonetization won't help because black money lobby was prior informed. If there is a black money lobby, it will cut across political parties, businesses and even states. In other words, his own party would have been aware of this action well in advance. However, until the action was taken there was no indication that any political party was aware of such a move. Also, the Left have no moral right to speak about disruption caused to public due to this action. They are pioneers in declaring hartals and disrupting life of common people. The reason for hartal can be as bizarre as a mark of protest for Saddam Hussain's hanging in Iraq. They feel for Saddam more than the soldiers of our country who sacrifice their life for securing ours. I think in any decision taken by any government at the center if you see opposition coming from the Communists, be assured that the decision is for the betterment of the nation. Arvind Kejriwal (AK) and Rahul Gandhi (RG) seem to be competing to prove who is the biggest fool by making stupid comments regarding demonetization initiative. AK should be a case study for IIT. How come an IIT produce such an idiot? RG we can still understand, he is intellectually challenged. AK is a big surprise. Need an RCA for AK. I would like to conclude by stating that radical steps need to be taken for the nation to grow. 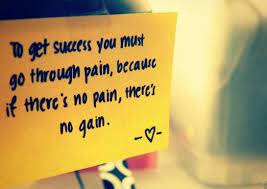 Just as for humans so for the nation: No pain No gain! Pakistan has been testing India's patience for quite some time now. Restraint shown by India was seen as weakness by them. All that changed on 29th of September, 2016 when India decided to strike back by doing a surgical strike across the LOC to avenge the Uri terrorist attack. The Uri terrorist attack on our soldiers was painful for the entire nation and every one was waiting for some action. All were about to give up hope for any retaliation from India based on the history of similar attacks in the past. However, this time around our Prime Minister Modi had something else in mind. Our army was always the same. No one ever had the doubt in their strike capabilities. The thing lacking was support from politicial leadership and the strong will to back our army for action against our enemies. This was the difference that made the surgical strike successful today. Destroying terrorist launch pads, killing terrorists and Pakistani soldiers without a single casualty on our side shows how efficiently the operation was planned and executed. 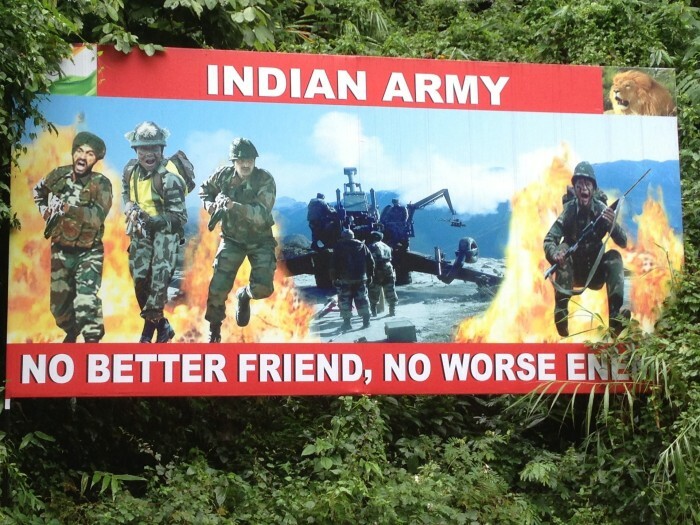 Kudos to Indian army for avenging the death of fellow soldiers. This will not bring back the soldiers we have lost to terrorism. However, now atleast their families will think that their life was not lost in vain and that the Indian army is capable enough to make the killers of our soldiers pay. I know this attack on Pakistan will hurt some liberals and some anti Indian news channels who sound more like Pakistanis. I feel really sorry for them. This time around we have a no nonsense PM who knows when to talk, how much to talk and also when to act and how much to act. With Narendra Modi at the helm of affairs we can rest assured that Pakistan will now think 100 times before planning any attack on Indian soil. There are some politicians who even at such times when the country has to unite decides to endorse anti-India tweets. It is a real shame that some people are not able to keep national interest above petty self-interests. 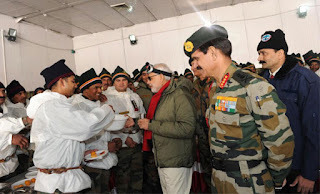 No matter how much you hate or like Modi, no one can deny that the surgical strike conducted by the Indian army would not have been possible without his strong and decisive leadership. I would like to end this blog by a salute to our Indian army and a heart felt thanks to our PM Mr. Narendra Modi for showing the courage to allow the surgical strikes against terrorist camps in POK. Today is Krishna's birthday and the atmosphere in Mumbai makes one realize that it is a special day. There is lot of energy in the air due to the Govindas who would be traveling the length and width of Mumbai and its suburbs for the Dahi Handi festival. Huge sum of money is waiting to be won by the Govindas for breaking the handis (clay pots) hung at great heights. Some as high as 9 or 10 tier high. It is exciting to watch the human pyramids being built and on few occasions you feel your heart popping out when you see the human pyramids fall like pack of cards. Krishna's birthday may have been commercialized and politicized these days but his teachings has stood the test of time. He is the most practical God. Even a non-believer will not be able to counter the Law of Karma as it is something even science talks about. Cause and effect is a universal phenomenon. A believer talks about Law of Karma while a non-believer understands Newton's third law of motion. 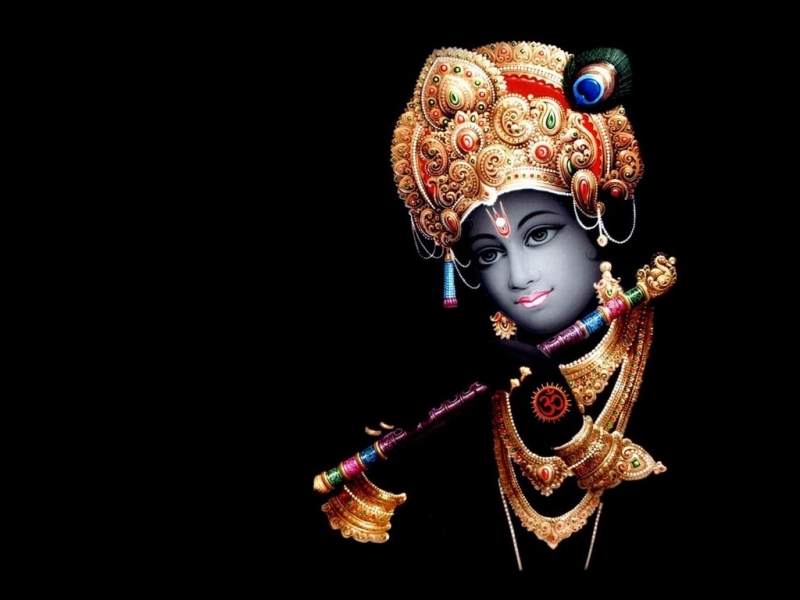 Krishna does not want one to denounce the world. He does not want to restrict anyone yet he wants everyone to understand that action will have to be taken and the effects of the action will have to be borne. There is no running away. The ultimate aim of action matters more than the means of achieving it. Krishna does not impose rules to bind you. He in fact even encouraged Arjuna to break some rules and overcome limitations to fight a righteous war. When you are fighting an enemy who does not follow rules, sticking to rules will not help. As long as the ultimate goal is good, the means used to achieve it should not be fretted upon. Krishna is all about focusing the mind. Arjuna, the best archer of his times was in self-doubt and his hands were getting numb at the idea of fighting his own relatives. Krishna was able to give him clarity of purpose and that one pointed focus which was necessary to win. To know what you are here to achieve in life is the first step towards attaining it. Krishna was able to give that knowledge to Arjuna who did not look back after receiving words of wisdom. Krishna taught us that meditation need not be done by sitting idle in one place. If action is taken without any emotional attachment for the outcome of the action, it is meditation. When you can handle both success and failure with equanimity, you are in a meditative state. Life becomes a journey in meditation. Kashmir issue is getting renewed attention due to the recent conflicts between armed forces and the people of Kashmir. 24x7 media and Pakistan has been trying to cash in on it. However, does anyone understand what is it that Kashmiris are fighting for? 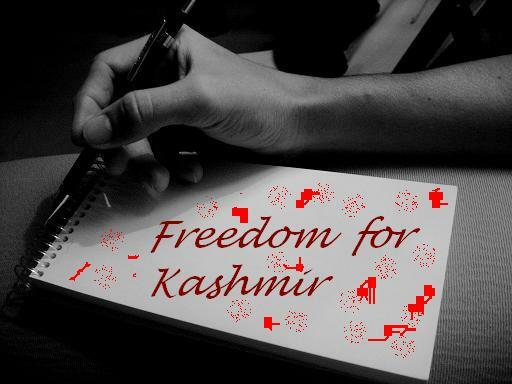 Freedom for Kashmir? Will this ever be a reality? 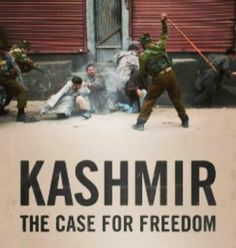 Let us imagine for some time that India decides to let go Kashmir and the people of Kashmir form an independent nation. How long will their independence last? Pakistan is definitely not supporting the Kashmir struggle because of love for the people of Kashmir. The very reason Kashmir became part of India was that Pakistan tried to conquer it. If freedom of Kashmir would have been their aim, then there won't be talks of hoisting Pakistan flag in Srinagar. The masked men protesting on the streets are swaying either Pakistan or ISIS flags. The freedom coming out of efforts by these people will never ensure a free Kashmir. They will only cause greater pain and agony to the people of Kashmir. Keeping the Kashmir issue burning is also a ploy of the Pakistani army and their government for deflecting the focus from issues like poverty and poor economic conditions. The youth of the country could be easily lured for money and fake propaganda that fellow Muslims are being killed. People of Kashmir just need to peek into Pakistan Occupied Kashmir to understand that “Azad Kashmir” is nothing but a myth. The people of Kashmir should understand that it is in their best interest to stay with India where they will get opportunities to prosper. A free Kashmir may be a reality for few days but in the long term, it will always be facing a threat of being controlled by Pakistan if India chose to ignore Kashmir. If both Pakistan and India are considered as evil by the Kashmiris, then they will have to choose the lesser evil which happens to be India. One just has to re-visit history to understand this. There will always be so-called liberals trying to fight for freedom of Kashmir. Some will even defend terrorists just to ensure that they portray themselves as guys who keep a different opinion from that of the government. It does not matter whether they are stating the facts correctly or not. They will cry for freedom but at the expense of the nation’s integrity. Let Kashmiris fight for better opportunities for education or jobs for the youth. They will get better support from fellow Indians than for a failed cause like freedom of Kashmir.